Run-machine or rather ton-machine are the right words to describe Virat Kohli who seems on a mission to break the highest number of centuries record of master blaster Sachin Tendulkar. His thirst for runs continues as he hit his 31st century again New Zealand in the first ODI at Wankhede Stadium, Mumbai. 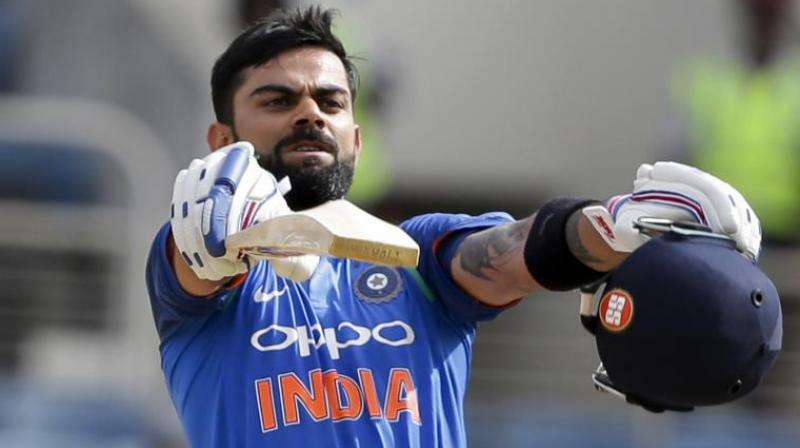 With his incredible ton in three-match ODI series, Indian skipper has replaced Ricky Ponting as the hitter of second highest number of ODI centuries. Now Kohli is left behind one and only Sachin Tendulkar who is sitting at the top with 49 centuries in 463 ODIs. Kohli’s performance can be termed far better as he has achieved the remarkable feat by playing just 200 one day international matches against Ponting’s 375 matches. The current average of Indian captain is 55+, which is far better than the averages of Ponting and Sachin at 42 and 44 respectively. What do we say about King Kohli. 200th game, 31st century. Tremendous class. Pleasure watching Kohli become the giant he now is. After 200 games, Kohli has 8888 runs at sn average of 55.55 . Given the kind of form Kohli is in, it is a no-brainer to guess that Kohli is the only batsman right now, who can break the highest number of centuries record of Sachin Tendulkar.